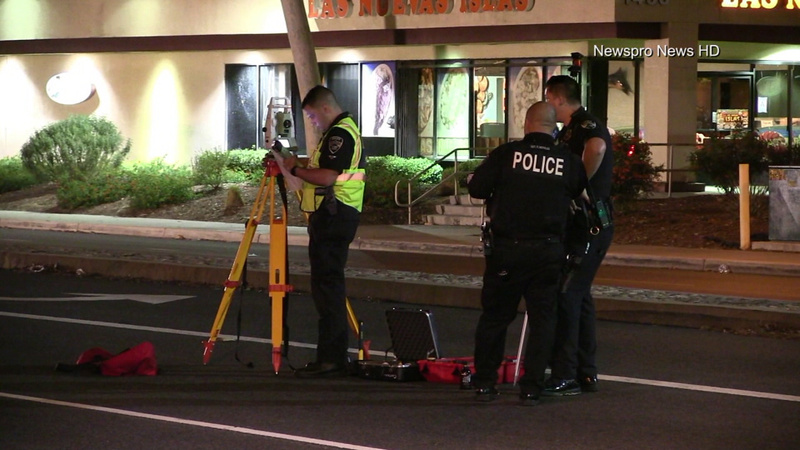 RIALTO, Calif. (KABC) -- A driver has been arrested in connection with a hit-and-run collision that killed one pedestrian and left another in grave condition Friday night, authorities said. A dark-colored SUV was heading eastbound on Foothill Boulevard, just west of Cedar Avenue, about 8:30 p.m. when it struck the two female victims, according to the Rialto Police Department. The male driver then turned southbound onto Cedar and fled the scene. The injured pedestrians were transported to Arrowhead Regional Medical Center in Colton, where one of them died, police said. The deceased victim was not immediately identified. The driver was later arrested, police Cpl. Ron Russo said Saturday morning. Authorities did not disclose details of the arrest or the suspect's name. Anyone with information about the collision is asked to call the police department's Traffic Unit at (909) 421-4981.